The Junges Hotel Salzburg-Aigen lies centrally, yet serenely. The youth hostel offers family-friendly accommodation at a reasonable price for an eventful summer holiday in Salzburg. Class trip, weekend holiday, family holiday or short holiday: our youth hostel is an excellent starting point from which to explore the best sides of Salzburg. Benefit from our excellent location! Just 15 minutes on foot separate you from the inner city. 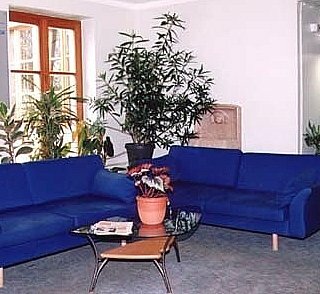 You will, however, reside in the middle of nature in the idyllic south of the state capital Salzburg.